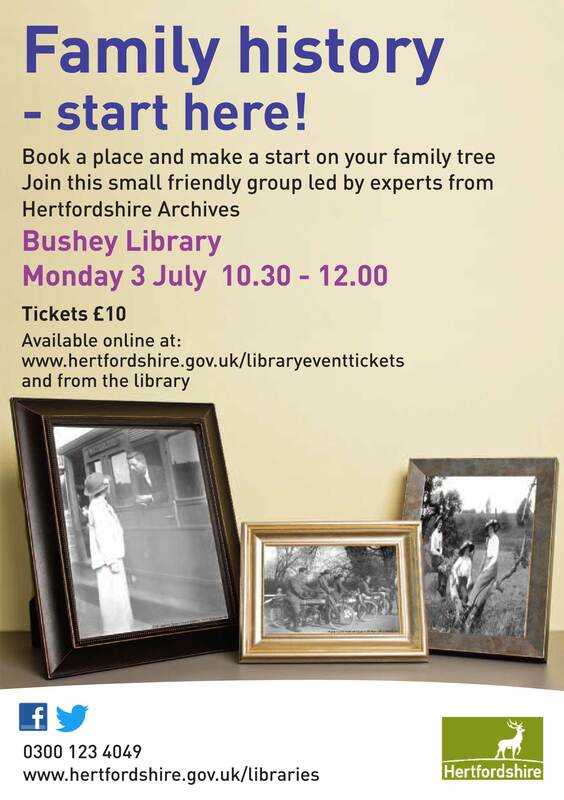 Book a place and make a start on your family tree. Join our small friendly group led by staff from Hertfordshire Archives and Local Studies at Bushey Library, Monday 3rd July. This page was added on 10/06/2017.